Well here it is. When it was first announced Will Smith would be playing the iconic role of the Genie in Disney's live-action remake of Aladdin, fans weren't exactly thrilled with the idea of the late Robin Williams in the role. As such an iconic part of my generation's childhood, it was going to be just about impossible for anyone to fill in his shoes. Funny enough, we ended up getting an actor who's also a nostalgic and charismatic figure of the 1990s, the Fresh Prince himself. We hadn't actually seen any of Smith's Genie in the first trailer for the movie, but now we finally have a look at him in his big blue form. So chances are you have the same thing going through your mind that most of the internet did when they saw the trailer. 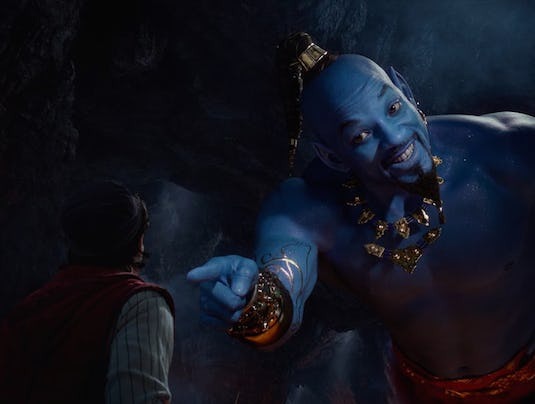 Why does Will Smith's Genie look so bad? The initial photos the Entertainment Weekly released from the movie actually showed a non-blue regular sized human looking version of Smith's Genie in costume. This led to backlash from fans who thought this might just be the way he looked throughout the movie, but he assured fans that this was only how he looks in a portion of the movie. This of course got fans excited to see the final product for a version of the Genie closer to what we remember from the animated movie, but I think we all pictured it with some slightly better effects. 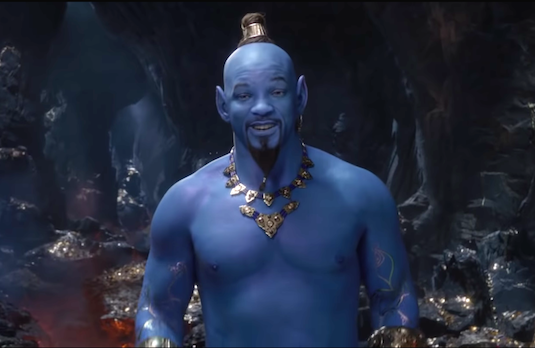 Something about the CGI of Smith's body and face as the Genie just seem very fake, and aren't up to standard with the effects audiences have been spoiled by these days. One can only hope this isn't the final product, and that the character will look much better on screen. Fans have argued that the character may have looked better with a more stylized cartoony look like in the animated movie, where the Genie was basically a caricature of Robin Williams. Instead this version of the character seems to just be a ballooned version of Smith's head on an awkwardly disproportionate body. While Smith's Genie certainly stole the show in this trailer, there were some other standouts from the trailer. We get some great views of iconic sets recreated for live-action, as well as our first look at Naomi Scott's Jasmin, and Marwan Kenzari's Jafar. Kenzari's Jafar has also gotten some criticism from fans of the original movie for his much less menacing appearance and voice in the brief footage we see of him, but its hard to judge from such a scarce amount of lines. 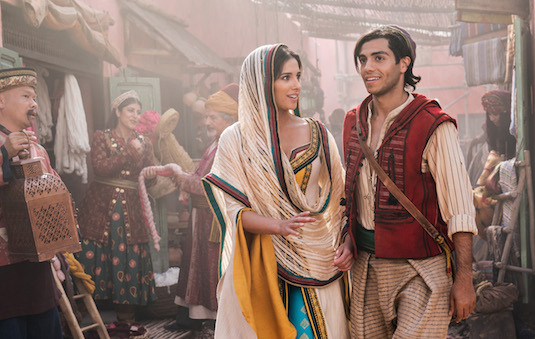 Aladdin is expected to set the tone for whats going to be a big year of Disney live-action movies including Lion King and Dumbo, so the studio can only hope it wins audiences over between now and its release. So what do you think of the new Aladdin trailer? 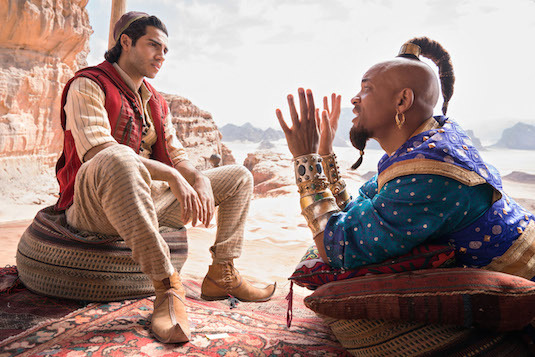 How do you feel about the look of Will Smith's Genie? Let us know below!